For as little as $1 a day, you can reunite a family and help a child find love and belonging again. Your donations help us achieve our goal of reunifying 10,000 children with their families over the next 10 years. Monthly donations will recur on the same day as the initial donation. 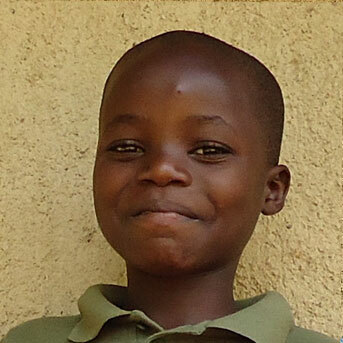 Mary was rescued from a dumpsite at just nine years old. Both of her parents were separated, and both were remarried. Mary was staying with her mother, but was neglected there due to her mom’s involvement in prostitution. Having to fend for herself, Mary was forced to look for scraps at the dump to survive. At Agape, Mary was able to recover from her past hurts and complete an individualized plan towards rehabilitation and home. Agape sought for alternative family and was able to find Mary’s father and stepmother who were very happy to welcome her into their home. They put her back into school, and she has been stable there and at home, ever since. She goes to church with them regularly and is getting good grades in school. With your support, children like Mary now have a second chance at family and at life. Your donations help rescue children like Mary from the life-threatening danger of street life, giving them a safe place where they can find redemption, love, shelter, and essential medical care. Thank you! 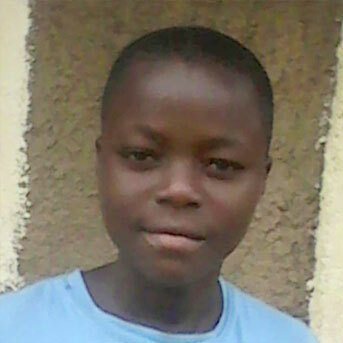 Mary was rescued from a dumpsite at just nine years of age. Both of her parents were separated and both were remarried. Mary was staying with her mother, but was neglected there due to her mom’s involvement in prostitution. Having to fend for herself, Mary was forced to look for scraps at the dump to survive. With your support, children like Mary now have a second chance at family and at life. Your donations help rescue kids like Mary from the life-threatening danger of street life, giving them a safe place where they can find redemption, love, shelter and essential medical care. Thank you! For as little as $1 a day, help reunite a family and join a community passionate about a world where every family is reunited and children find love and belonging. As a Reunite A Family partner, you’ll receive monthly success stories about the families you’ve helped bring together, as well as regular ministry updates to help keep them in prayer. Agape Children’s Ministry is a faith-based organization. We rely solely upon the Lord to move in the hearts of individuals, groups, churches, and other organizations to contribute the funds necessary to carry out our ministry. We receive no funds or financial support from the U.S. government. Agape periodically receives financial assistance from the Kenyan government’s Street Families Rehabilitation Trust Fund. Contributions to Agape are tax deductible in accordance with our IRS status as a 501(c)3 charitable, non-profit organization. Agape Children’s Ministry Tax ID number is 20-4191319. How is agape committed to financial integrity? We are an accredited member of the Evangelical Council for Financial Accountability (ECFA) which has strict standards for financial stewardship. Annually we also engage a certified public accounting firm to perform a compilation of all of the Agape Finances. Copies of our annual financial statements can be found here. Agape is primarily funded through the regular, faithful giving of individuals and churches. Additional support comes through grants and through the sale of items from our online store. Where is my financial support most needed? Your giving to the General Fund and our Reunite A Family program does the most good. It allows Agape to put your giving to work in areas that need it most. Agape Children’s Ministry uses what is referred to as a “deputized” support-raising approach for its missionaries. Each missionary is responsible for raising gifts to provide sufficient funds to pay for his/her own ministry work. Donors are able to make contributions to ACM with a preference to support the work carried out by a particular missionary but not specifically earmarked for that missionary. No ACM General Fund money is used to pay missionary salaries or benefits. What does the General Fund pay for? The General Fund provides for the majority of ministry and program expenses in Kenya as well as our modest operating costs in the US office. Approximately 83¢ of each $1.00 donated to the general fund is sent to directly Kenya for programs and services. Aside from supporting individual missionary families, you can also direct your giving via Designated Funding. Designated Fund Accounts are approved by the Board of Directors and reside within the General Fund. They are used toward specific ministry needs as designated by the donor. When the specific need is fulfilled, the balance of the funds are moved to the General Fund where they can continue to positively impact other pressing ministry needs as the Board of Directors determines. Use our contact form below to inquire about Designated Funding. Can I donate via mail or phone? Yes! You can call our office at 209-543-9255 to donate using a credit card or automatic bank withdrawal. We can also send you pre-addressed envelopes if you’d like to regularly donate using checks. Checks can be mailed to P.O. Box 5062 Modesto, CA 95362. Donation slips to include with your check can be printed off here. Are there other ways to give to Agape? Absolutely! If you’re interested in special gifts such as the transfer of Stock and Mutual Funds, Personal Property, Real Estate, Life Insurance, Gift Annuities and/or Wills, please speak to our bookkeeper at 209-543-9255, or get in touch with us using the contact form below. Will I receive a statement of my giving? Yes. We send monthly statements to all donors and a year end statement for tax purposes. If you’d like to receive quarterly or annual statements instead, please call our office. Questions? Shoot us a message and we’ll be in touch!